Mirvac, has seen successful sales at its master planned development, Gainsborough Greens, confirming high demand for northern Gold Coast communities. 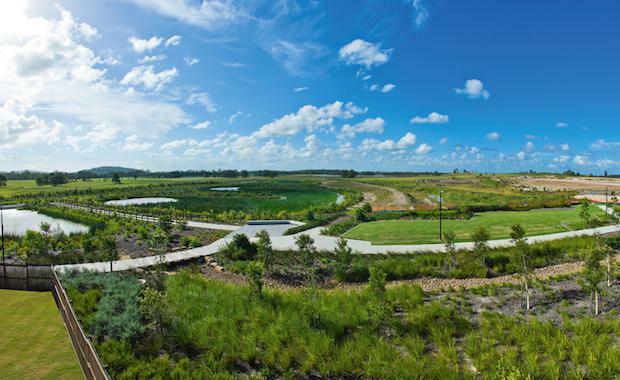 Gainsborough Greens, located in Pimpama, is the largest master planned community underway on the Gold Coast. 250 lots have sold since its launch to the market in mid 2011, totalling more than $63 million. Sales activity during the last 12 months has dominated, with a total of 135 homesites and house and land packages secured at the Pimpama community since early last year. Mirvac masterplanned communities Queensland development director, Russell Berlee, said that trend was set to continue, as demand for Gainsborough Greens remained strong. “Now that we have 200-plus homes complete or underway, potential purchasers can get a real sense of the type of community they are buying into and that has really driven sales over the past year,” he said. Mr Berlee said the quality of surrounding infrastructure and amenity being delivered, such as the adjacent Pimpama Junction Shopping Centre and a new state primary school, was also appealing to purchasers. “They can see that Pimpama is a real go ahead area and they want to get in early to take advantage of the substantial growth that is underway or planned,” he said. When complete, the community will comprise around 2,200 homes across a series of interconnected villages and parklands.